Begin by preheating your oven to 170oc, then place the flour, icing sugar, butter and salt into a bowl. Rub these ingredients together to make breadcrumbs (a great finger workout!). Add the egg yolks to your breadcrumbs and mix together to create a dough. 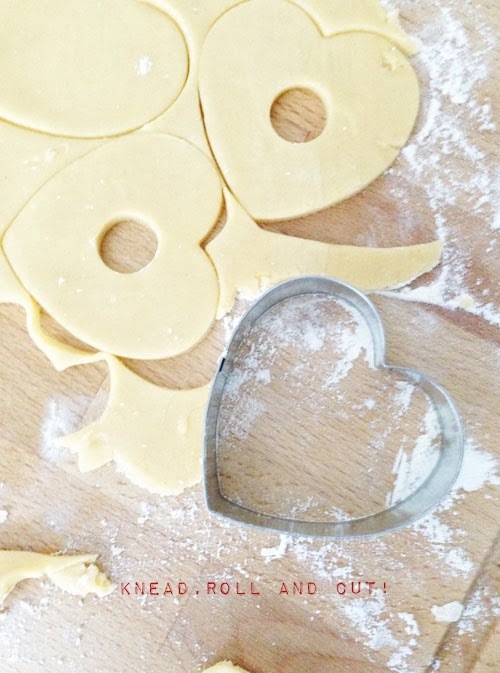 Place the dough onto a lightly floured surface and roll out to a thickness of approximately 0.5cm. 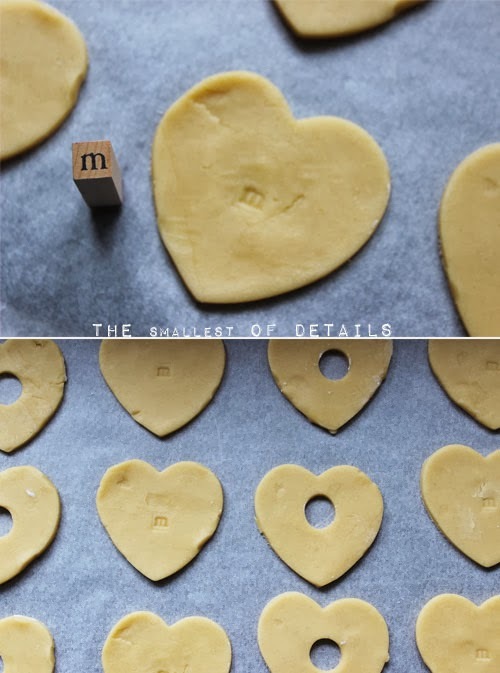 Now apply the heart-shaped cutter. 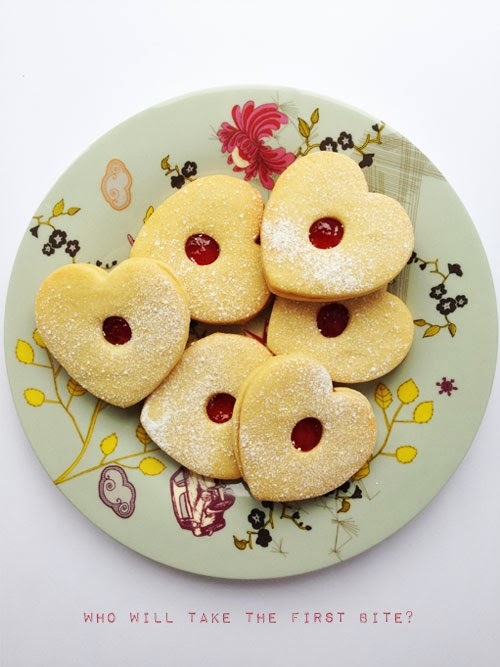 Place half of the heart shapes onto a baking tray and cut-out 2cm holes in the centre of the remaining hearts. Now add these to the baking tray and place the entire batch in the oven for just 10 minutes before transferring to a wire rack to cool. 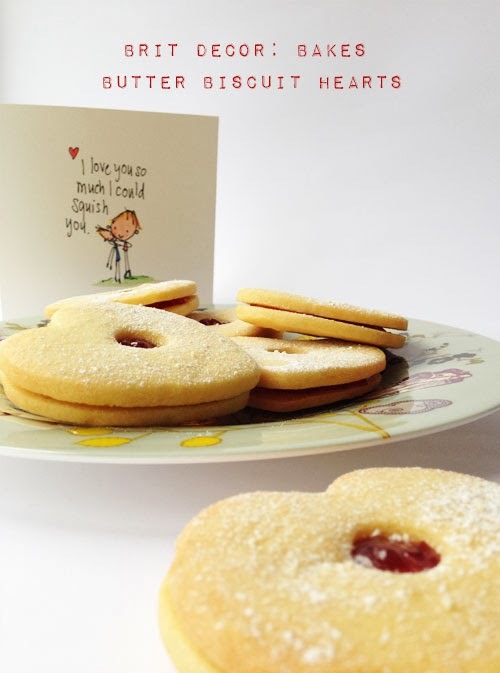 Use a teaspoon to measure a small drop of jam (I prefer to use a cheaper own brand as it has the consistency of puree) and drop this onto each whole biscuit. 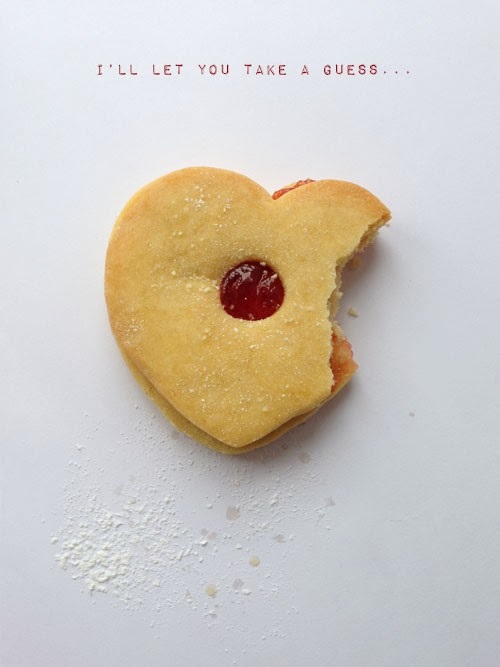 Then gently place the other hearts, with the holes in the middle, on top. Aren't they cute!? To finish, lightly dust with icing sugar.